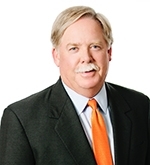 Michael McCallister has served as Non-Executive Chairman of the Zoetis Board of Directors since June 2013 and as a member of our board since January 2013. Mr. McCallister served as Chairman of the Board of Humana from 2010 to 2013, where he presided over all meetings of the company’s stockholders as well as those for its Board of Directors and led the Board’s Corporate Governance efforts. Mr. McCallister was Chief Executive Officer for Humana from February 2000 until his retirement on December 31, 2012. During his tenure as CEO, Humana gained a reputation as one of the industry’s leading people-focused innovative companies, leveraging products, processes and technology to help individuals take control of their own health. Beyond Humana, Mr. McCallister plays a leadership role in key business and community organizations. He served for many years on the board of the Business Roundtable and is past chairman of the organization’s Health and Retirement Task Force. He is currently on the boards of AT&T and Fifth Third Bank. Mr. McCallister holds an MBA degree from Pepperdine University in Malibu, CA.